We are a personal injury practice located in Las Vegas, Nevada. Remmel Law Firm focuses on helping individuals and their families, who have suffered severe injury, or even death, due to the negligence or careless acts of others. We will work tirelessly on your behalf to ensure that you are adequately compensated for the wrongs others have done to you. We receive no payment until the compensation is recovered. We work on a contingency fee basis. You pay nothing up front. Commercial truck drivers work with constant pressure, ensuring that deliveries are made on time. Sometimes, commercial truck drivers are concerned more with profit than safety and make decisions that cause injuries or losses to others. We represent people and families who have suffered serious injuries, or even death, due to commercial semi-truck or tractor-trailer accidents. Whether you were traveling on Interstate-15 (I-15) or on another public road, we use our extensive experience to help you receive the best possible compensation. We have extensive experience with commercial trucking accidents and the unique laws that govern them. We are familiar with the special regulations all truck drivers must follow, which include: - Driving time regulations - Vehicle load and weight restrictions - Types of cargo - Special traffic rules and vehicle operation - Commercial policies from insurance carriers and trucking companies When you choose to retain us, you can concentrate on your rehabilitation and recovery. We will keep you up to date on of all developments as they happen and work quickly to obtain the best possible outcome. Losing a loved one is one of the most painful experiences in life. Here at Remmel Law Firm, we represent the rights of families, heirs and estates in Southern Nevada who are pursuing wrongful death claims for the loss of loved ones. We offer assistance our clients need when confronted with the challenges created after a fatal accident. We deal with all the legal details so our clients and their families can focus on supporting one another. We are sensitive toward our clients' needs and give the support and compassion they need when dealing with these incredibly challenging circumstances. Whether you've lost a loved one in a car accident or due to complications from a serious injury, we work tirelessly on the details of your case. Our Las Vegas personal injury attorneys will: - Collect documentation for the accident - Evaluate liability for your loss - Handle the needs of the estate and heirs - Calculate damages and losses to the family - Negotiate a complete and fair settlement - Take the case to trial, when necessary If you have wrongfully lost someone you love due to the negligence or carelessness of another, we can help. Giving a nursing home or a specialist facility care if your loved ones can be a very difficult decision. Unfortunately, many care facilities are understaffed and neglect can be a real and damaging problem. We can help. If you notice any of the following, immediately follow up and investigate: - Frequent visits to the emergency room - Unexplained bruises or scars - Broken bones,Ãâ¬Ãâ especially hip, leg, and ankle fractures - Stiffness due to lack of restorative exercises - Unexplained weight loss - New or worsening bed sores - Heavy medication or sedation - Injuries occurring while the patient has been restrained - Illnesses not reported to a physician - Any unexplained death - Injuries caused by another resident - Signs of malnutrition - Untreated depression - Lack of personal hygiene - Declines in independence When abuse or neglect has occurred you must contact a personal injury attorney. These types of lawsuits are usually handled on a contingency fee, you do not pay if you do not recover any money. Nearly a decade ago, I decided to focus exclusively on personal injury cases when, as a former insurance defense attorney, I repeatedly observed insurance companies taking advantage of innocent victims (and families) who were presenting legitimate personal injury claims. Insurance companies simply do not believe that people can be hurt in a car accident unless someone breaks a bone, is paralyzed, or dies. This hardened mindset, motivated only by money, is false and is not supported by scientific or medical evidence. People come in all shapes and sizes. Accidents affect us all very differently. The law, however, demands that we be treated equally and, regardless, fairly compensated for our injuries, harms and losses. Because of this very real conflict, I made an early career change to better align my work life with my personal beliefs. As a personal injury attorney, I have had the unique privilege of working for (and with) some of the most distinguished trial lawyers in America. I have tried cases to verdict with a member of the Inner Circle an exclusive trial lawyer group limited to the nation's top 100 trial lawyers. In 2008, I was distinguished as a Top 100 Trial Lawyer by the American Trial Lawyers Association (ATLA). I have received that same accolade from the ATLA every year since. In 2012, I was also selected by the ATLA as a member of the elite, Top 40 Under 40 group. I am a member of the Million Dollar Advocates Forum, and have been selected as a Rising Star by Super Lawyer magazine for the past three consecutive years (2010-2013). I have also been actively involved with the Nevada Justice Association, ensuring that Nevada's citizens' right to a trial jury remains protected. These accolades pale in comparison to when a client thanks us for our work, regardless of the outcome. My law firm is distinguished from other law firms in a variety of ways. First, we specialize in practicing personal injury and wrongful death claims. Most law firms provide a variety of services. We do not practice in other areas of the law. Every single client we represent is an individual who needs help, typically against an insurance company. We do not represent insurance companies or large, faceless corporations. Lawyers who practice with other law firms refer their personal injury clients to my office. They trust that we have something more to offer the client. This trust is priceless. The truth is, most personal injury cases are difficult and it takes a lot of time to ensure that we secure a full recovery for our client. Perhaps most importantly, I am very accessible. I do not own a large firm, with tons of staff and administrative workers. You don't have to weave your way around front desks, secretaries or paralegals to talk with me about your case. Consequently, when you call and want to talk to your lawyer, I may very well answer the phone. If not, I have two very well trained legal assistants who will help you in my absence. 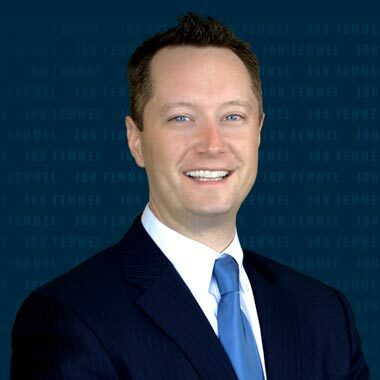 Born and raised in Utah, Jonathan T. Remmel graduated from Weber State University with a double major in Political Science and Technical Sales. Following undergrad, he graduated from the S.J. Quinney College of Law at the University of Utah, where he participated in trial advocacy and moot court competitions. 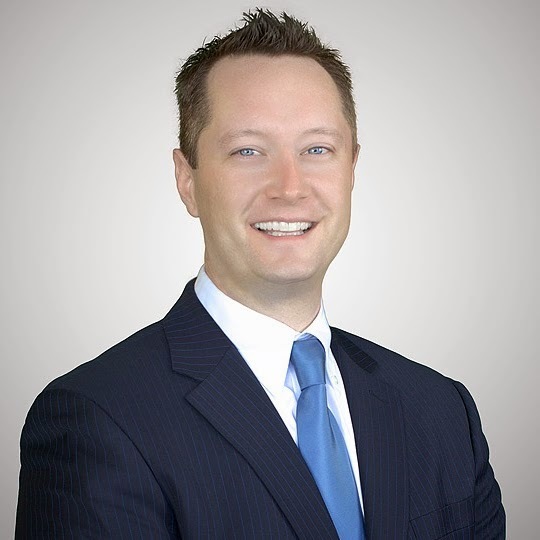 Jonathan has years of experience working for some of the largest and most prestigious law firms in Southern Nevada, including Mainor Eglet Cottle where he spent several years honing his skills in the courtroom. As a trial tested litigator, Jonathan was selected as one of Nevada's Top 100 Trial Lawyers by The National Trial Lawyer Association. He is a member of the Million Dollar Advocates Forum and is considered a Rising Star by Super Lawyers. Licensed to practice law in Nevada and Utah, Jonathan has dedicated his professional life to serving personal injury clients. To date, Jonathan has recovered millions of dollars to help compensate his clients for their injuries and losses. Most notably, in 2011, Jonathan recovered $1,095,000 for a brain-injured client involved in a roll-over trucking accident. He was also a member of a three attorney team that recovered over $2.8 million dollars in a hotly contested slip and fall case. As a dedicated husband and father, Jonathan has a passion for life and the law! He enjoys spending time with his family and church and is considered by his friends a motorcycle and car nut!